Stanley E Swank, a 1st-time Master and SAFE member, recently earned his Master CFI accreditation. Stan is a Part 141 assistant chief flight instructor and ground instructor with ATP Flight School at Jacksonville’s Craig Municipal Airport (CRG). 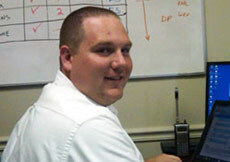 He also serves as a FAASTeam representative in the FAA’s Orlando / North Florida FSDO area. Master Instructors LLC takes pride in announcing a significant aviation accomplishment on the part of Stanley E Swank, ATP Flight School’s assistant chief flight instructor and a resident Jackson, Florida. Recently, Stan was accredited as a Master CFI (Certificated Flight Instructor) by the Master Instructors LLC Board of Review, the international accrediting authority for the Master Instructor designation as well as the FAA-approved "Master Instructor Program. To help put this achievement in its proper perspective, there are approximately 93,000 CFIs in the United States. Fewer than 700 of them have achieved that distinction thus far. The last 15 national Flight Instructors of the Year were Master CFIs while Stan is one of only 68 Florida teachers of flight to earn this prestigious “Master” title.